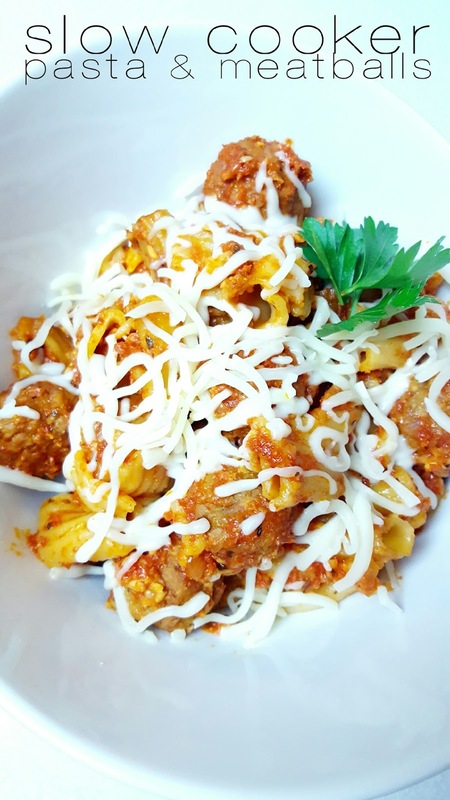 You Need To Try These Slow Cooker Pasta and Meatballs! It’s the end of the school year, end of softball season and I am going insane with how busy I am! The best solution for dinner is anything in the crockpot! I love my crockpot! I’m starting to think I need to buy a new one. If you have any suggestions list them below. The one I currently have, I won in a faculty raffle and it’s been fantastic but I think it’s definitely on it’s last leg. Anyways, Matt’s favorite foods always have marinara. For my sanity we have to find ways to mix it up. This was pretty great and really easy! Enjoy! 1. Rinse pasta with warm water in a colander and allow to drain. 2. Pour a quarter of the marinara on bottom of the crockpot, then put half the noodles, then half the meatballs, half the mozzarella, and half the parmesan. Then repeat. This looks delicious! 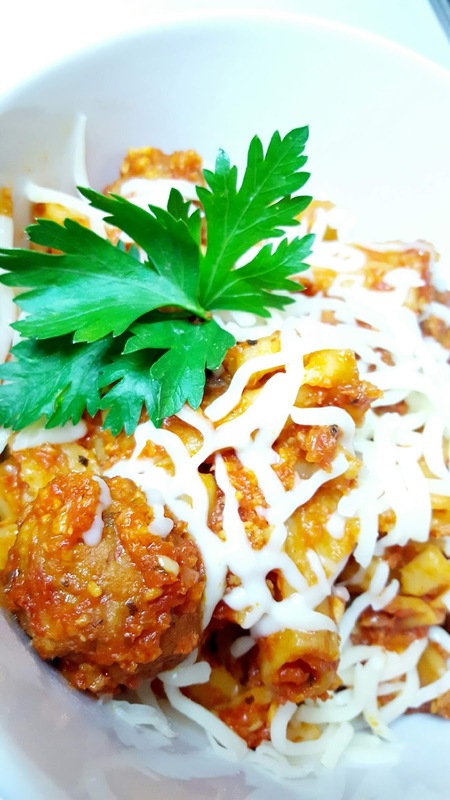 I am always on the hunt for good slow cooker meals. I'm adding this to my list!